You have no doubt been in a situation where you’ve had to slam on your brakes, thankful that they work so well. Applying your vehicle's brakes is an example of stopping kinetic energy, which is present when your car is moving. Most automobiles today have anti-lock brakes. The ABS, or anti-lock braking system, is a four-wheel system that modulates braking pressure automatically during a quick stop. When the brakes are engaged, fluid is forced through a set of valves from a master cylinder, causing pressure that is transmitted to the hydraulic control units at each wheel. 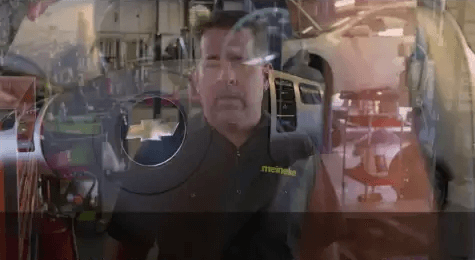 You can learn more about ABS from the pros at Meineke #2675 in South Dartmouth, MA. You never know when you’re going to have to make a quick stop while driving your car. It is critical that you be able to trust your anti-lock brakes when faced with an emergency situation. If you have passengers in your vehicle, children especially, the need for safety is even greater. Regular inspections are the best way to make sure that your brakes are in peak condition. At Meineke #2675 in South Dartmouth, MA, we offer excellent ABS brake service, including timely and cost-effective inspections. Your ABS is a crucial safety feature. Fortunately, there are several warning signs that will allow you to get it repaired before it fails. Many cars today have an ABS warning light. If yours comes on, take your car to a mechanic and have it checked right away. Other red flags for impaired anti lock function include brakes locking up at odd times, brake pedals that do not respond to pressure and a greater amount of pressure being needed to brake. If you notice any of these, it is time for an immediate check-up. Stop at Meineke #2675 in South Dartmouth, MA to learn about ABS system cost for repair or replacement. Even if your anti-lock brakes fail, your car is probably still drivable. The ABS brakes will switch off if the components fail, but the regular brakes on your car still work. This can still be a problem if you get into a panic situation where you expect your brakes to pump themselves to get you out of a skid. Don’t put off repairs to the anti-lock brakes, even if you’re not expecting icy or snowy weather. The ABS system also keeps your auto from hydroplaning in wet driving conditions. Maintain your brakes with silicone brake fluid or mineral brake fluid by coming to the professionals at Meineke #2675 in South Dartmouth, MA. The cost to repair or replace an anti-brake system, or ABS, can sometimes be concerning. The first thing to do is to bring your vehicle to the specialists at Meineke #2675 in South Dartmouth, MA. You may only need new brake fluid or just a minor part. It might be that new brake pads are needed. Of course, there could be issues with other brake system components. Our professionals can resolve the problem and see that you’re back on the road safely with a solution that is as cost-effective as possible. Although you can certainly learn how to recognize signs that your ABS brakes need repairs, any repairs should be provided by certified technicians who can ensure your brakes are in good operating condition. Before you come into our store, take a look at our coupons and pick up some savings. 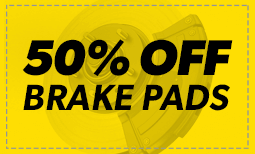 If you are ever in need of brake repairs, come to the professionals at Meineke #2675 in South Dartmouth, MA. Keep your passengers safe in every type of driving condition by maintaining your brakes.